← Disposable Heroes: What Does Save Or Die Really Kill? 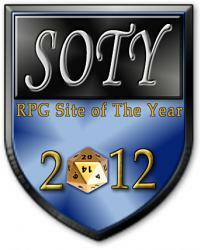 In the past, my entries in Roving Band of Misfits’ Game Night Blog Carnival series have featured multiplayer games. However, this month I wanted to focus on a single-play experience that recently rocked my world. During my trip to New Zealand last month, I had a 13-hour plan ride to fill with various activities. I received several suggestions to download Kingdom Rush for my iPad. I decided to give the game a try for a mere 99 cents, and it was a fantastic decision! Since I could not sleep well on the plane, I played the game on and off for the better portion of eight hours. The game is incredibly addictive, and I cannot recommend it enough for those looking for a fun game to eat up minutes and hours of their time. Below, I describe the allure and charm of Kingdom Rush. Kingdom Rush by Ironhide Game Studio is a tower defense game similar to Plants vs. Zombies, which is another game I downloaded for the trip. After playing the two games, I had significantly more fun playing Kingdom Rush. The game begins quietly enough as it walks the player through the basics of gameplay. Each level present a simply premise – stop an assortment of monsters from crossing the battlefield and reaching the other side. The player has multiple tools at their disposal to protect their land from the enemy attack. Each level features multiple locations along the road where a player can build a defensive tower. There are four tower options – Archer Tower, Barracks, Mages Guild, Artillery – and they have specific benefits. The Archer Tower features a good rate of fire, the Barracks produces soldiers that block enemies, the Mages Guild offer high damage and armor piercing and Artillery deals damage to an area instead of just one enemy. The key to success is to mix and match the towers in a strategic manner to thwart the enemies that are thrown into the battle. In addition, players have two additional options – a supply of Reinforcements and the ability to call down a Meteor Storm to rain fire from the sky. These ability feature a cooldown period with the Reinforcements featuring a brief recharge for farmers that join the battle but are merely cannon fodder. The Meteor Storm has a substantially longer cooldown period but inflicts a high level of damage that will wipe out most low-level monsters. As the levels progress, the enemies become stronger, faster and more relentless. The challenge offered by Kingdom Rush seems non-existence at first, but the learning curve climbs steeply to the point where it is not rare to suffer many defeats after just a few levels. Enemies range from tiny little goblins (think minions from D&D 4th Edition) to Demon Lords, Troll Champions, Magma Elementals and Dark Slayers. Enemies have specific strengths and weakness. For example, certain monsters may have a high resistance to magic attacks. 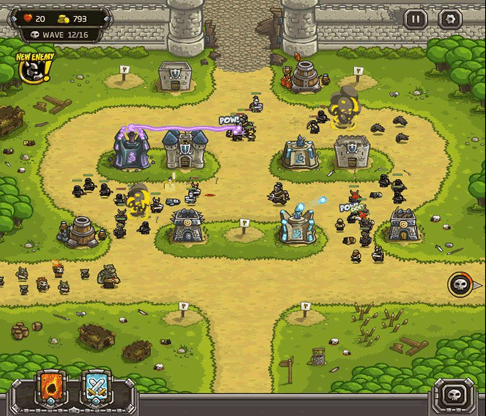 The player has to determine the best combination of towers and attacks to survive the onslaught. 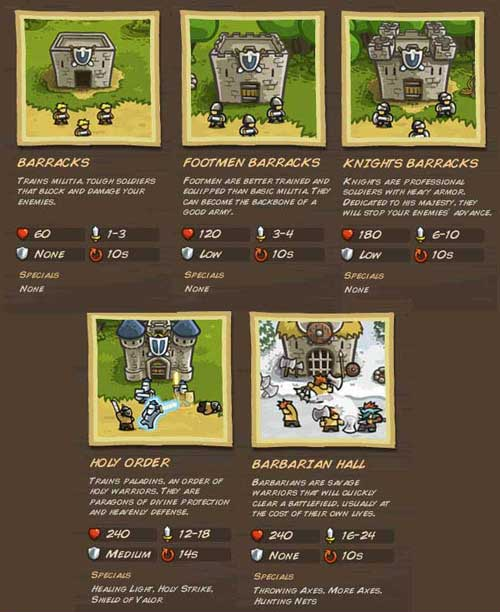 Each of the four defensive towers has multiple upgrades that make the forces more effective. The towers also feature numerous improvements for a cost. Each monster killed provides the player with gold, which can be used to purchase tower improvements. More difficult monsters drop more gold; it’s a straightforward formula that is – once again – insanely addictive! Kingdom Rush not only plays great but it looks and sounds great as well. The graphics are pitch perfect and it really captures the fantasy genre with its cartoon style. The background music is standard fare but adds to the experience; it is never dull or annoying. The sound effects are satisfying as the soldiers clash swords, wizards unleash spells, archers fire arrows and artillery unleashes bombs. As the player builds towers to bolster defenses, brief voice effects offer another fun addition. Special thanks to Castle Games for the screenshots from Kingdom Rush; visit their site for an abundance of – your guessed it – castle-themed games to play! 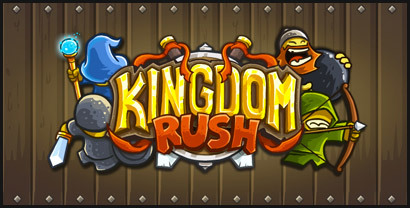 Kingdom Rush is a great addition to any gaming library, but certainly a perfect fit for those who are interested in roleplaying games and fantasy settings. I would have no reservations endorsing this game if it were $10; however, the game is only 99 cents on the iPad, which is an absolute steal. That is less than a pack of gum! Seriously, go buy this game. I have played Kingdom Rush for many hours and I am still entertained by it. I have yet to complete every level in the game, as each level features three distinct challenges. 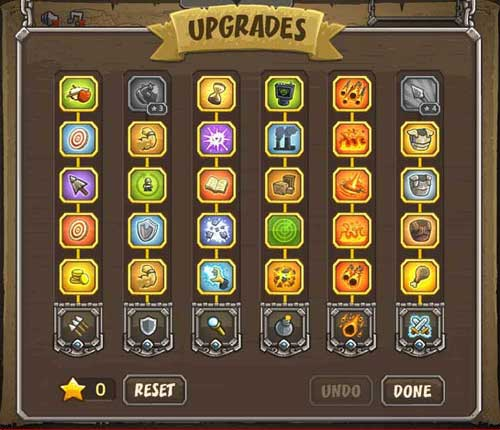 There are over 40 specific challenges in Kingdom Rush – and some of them are downright mean. The game is engrossing as the player never experiences a dull moment during the course of a battle. Monsters continue to flood the battlefield and the player must do everything possible to keep up with the onslaught. Victory is rewarding and defeat – which will certainly happen as the game is ruthless – only serves as a motivator to continue playing the game. Enjoy Kingdom Rush, and my apologies to those that miss out on other crucial activities in their lives because they cannot put the game down! This entry was posted in Game Night Blog Carnival and tagged Gaming, iPad, Ironhide Game Studio, Kingdom Rush, Roving Band of Misfits, RPG, Tower Defense, Videogames. Bookmark the permalink. I also did a review on this game recently on my blog and I’m so glad to see someone else enjoying it. I found it so refreshing to see a game that is SO accessible to all users. My review deals with how the game allows for ALL users to be able to play the game because of it’s mouse only/touchscreen interface decision. I also cover other accessibility issues with the game, but I too found the game to be an amazing and fruitful experience! It’s probably one of the best tower defense games I’ve played in a while! If you like Kingdom Rush and you have a console [ or a Steam account ] I would also check out Dungeon Defenders. It bodes a very similar concept, except, you and up to four players defend a crystal in the center of the room from hoards of goblins, orcs, and other such brutes. It’s pretty addictive as well. My friends got me into it, and now whenever I go over to their place we have to play at least one match! Wonderful review as always! Yes, a friend that traveled with me also got sucked into the game when we were waiting in the airport. I enjoy the art style of the game and the slightly goofy voiceovers. It’s a solid gaming experience! I’ve heard good things about Dungeon Defenders but I haven’t been big on multiplayer games in the past few years. I enjoyed the old Halo LAN parties but playing games with strangers is not rewarding; too many jackasses out there. For example, I’m trying to play Mass Effect 3 online to increase the Galactic Readiness and the experience is PLAGUED by connection failures and people saying, “You’re too low of a level, you need to leave this game.” That said, I should give Dungeon Defenders a try. Oh, when I meant multiplayer it doesn’t necessarily mean online play. I’ve played with just me and my buddies directly that are in the room. I’ll have to check on that, but I’m pretty sure Dungeon Defenders isn’t like an MMO or anything, so you’re not forced to playing with online people you don’t want to. You can play directly with the people in the room with you. I’ll find out and get back to you to make certain.